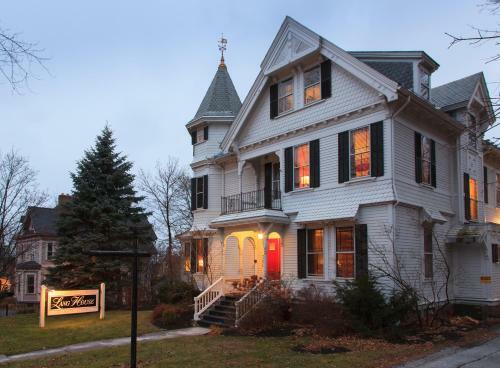 Offering a full breakfast each morning, Lang House on Main Street Bed & Breakfast is located in a Victorian-style house in Burlington. Free WiFi access is available. Each room at the bed and breakfast features unique furnishings. Whether you’re staying at our Burlington, Vermont bed and breakfast for business or pleasure or visiting a loved one at the University of Vermont Medical Center, you will find our accommodations comfortable and convenient, our staff gracious and welcoming, and our breakfasts sumptuous and served to meet your schedule. Every staff member — from our breakfast chef, to the inn dogs, to our property manager — is committed to making your stay perfect in every way. At the Lang House on Main Street you will be delighted with our combination of 19th century charm and 21st century service! We look forward to your visit. Make sure to view our Burlington, VT packages & limited time specials to help plan your stay. What a great way to spend a Saturday afternoon! Perfect Labor Day weekend holiday activity!